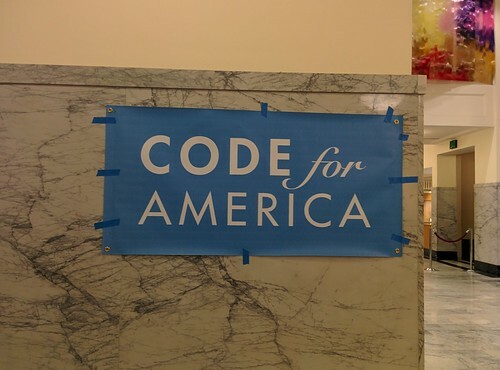 I joined Open Oakland (Code for America Oakland Brigade) Civic Hack Night this Tuesday. 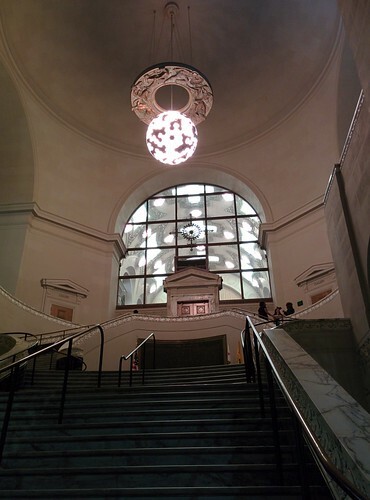 They host their weekly hack nights in this beautiful City Hall. 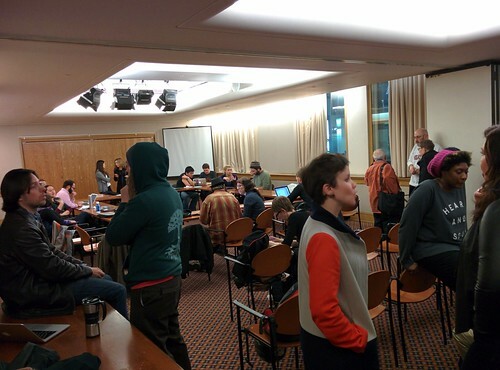 Getting inside the city hall to join the hack night. Very cool! 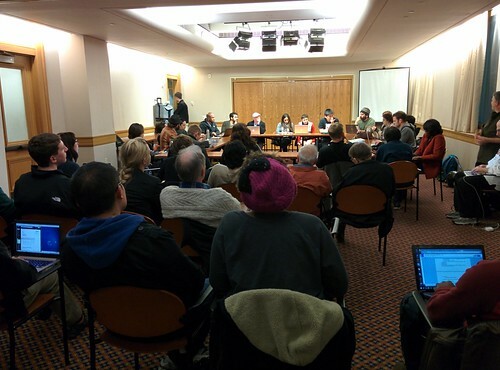 Due to heavy traffic from Mountain View to Oakland, I arrived a bit late and the room was already packed! I loved the diversity of the people who joined here- some are developers some are not, good mixture of gender and age, etc. I was also fascinated by the fact that the lady who sat next to me was saying she came to this meetup because she saw it on Oakland City's website. It's different from the techies we always meet in every single tech event. Also since this event is held inside the City Hall, I think it is easier for the local government people to join. I didn't talk with everyone, but I saw a lady from the local government in the ethics division joining the campaign finance team, which is really awesome. Pizza arrived, mingling time and break out to teams. I joined the Newbie orientation. 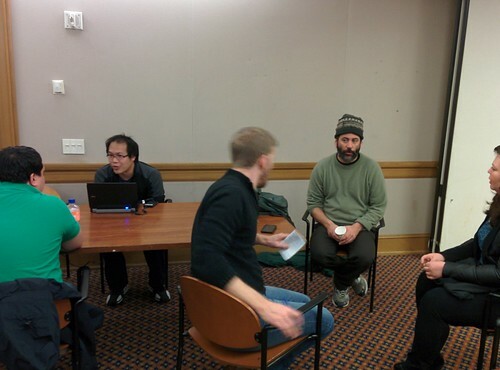 This was the biggest team, they are planning for the CodeAcross event taking place on 2/22-23. They were discussing which companies are going to be involved, how to keep track and keep on progress of the projects, etc. 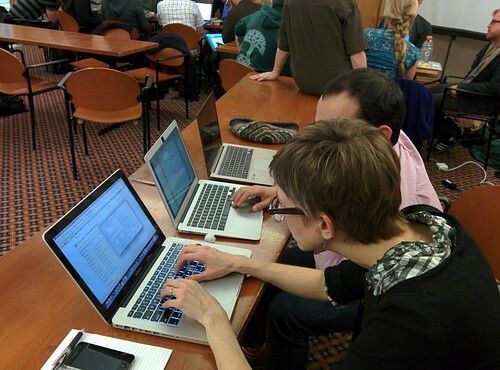 In fact, CodeAcross is happening all over the country on 2/21-23 so please check out and join the nearest one! This team was working on transparency of campaign finance. It is important because election is close. There are many things to think about- data cleaning, understanding of the data itself, the companies, people, etc. 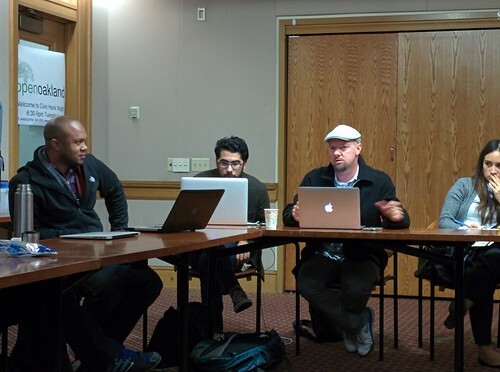 They were also discussing about visualizing lobbyist data. This is work in progress website created by John C. Osborn, based on data from Public ethics commission. This team was working on crime data. This is also very important because Oakland is known for crime (map). 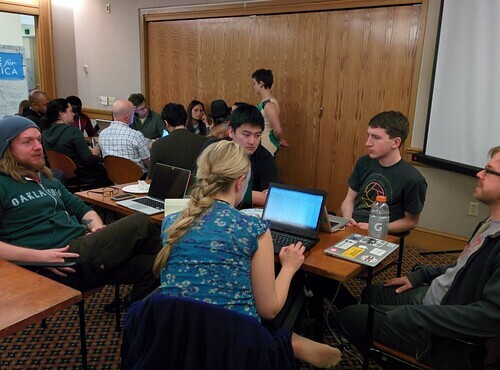 This team was working on getting various social resource data such as shelter location data online and map them. 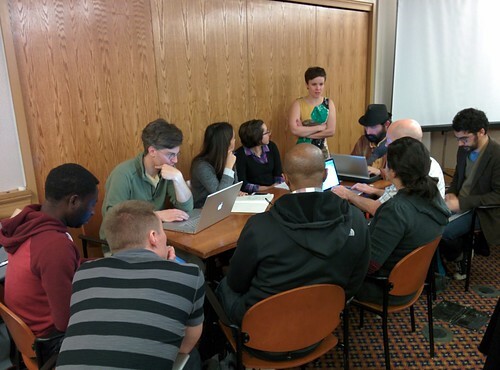 Open Budget Oakland: Open Budget is a project to make Oakland’s budget more accessible. 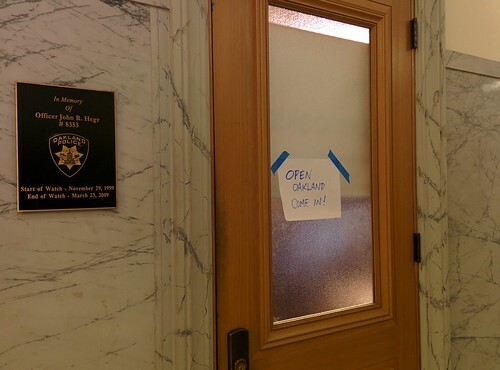 Open-Government Pledge: During the 2012 election, 15 of 27 candidates signed the Open Government Pledge—including 4 of 6 elected—committing to uphold the principles of transparency, participation, and collaboration in Oakland government. CityCamp Oakland: CityCamp Oakland brings together citizens, city government, and businesses to openly innovate, enhance transparency and civic engagement, and utilize open-source technology to improve quality of life in our communities. 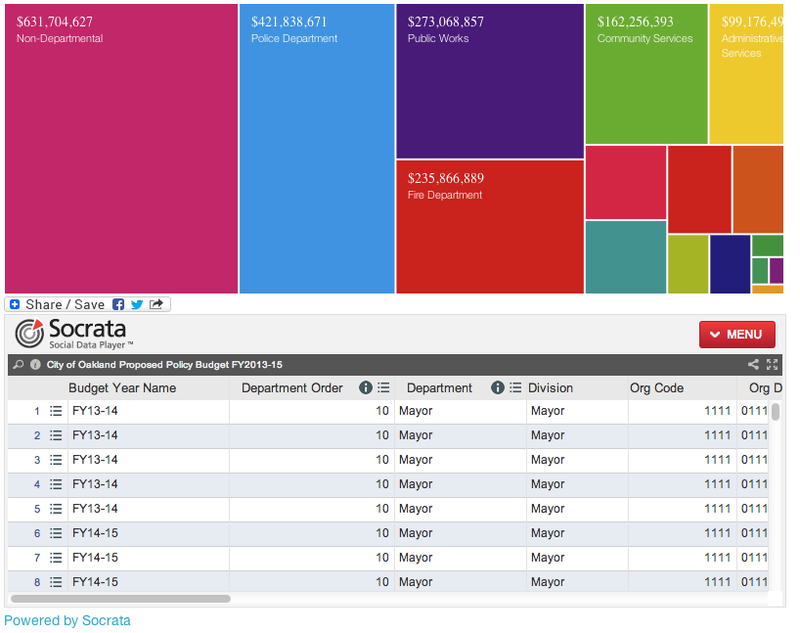 Crime in Oakland: Providing access to Oakland Police Department data. Things like redeploying the crime trends app built by Open City Apps become possible. OaklandBeats.com: A simple app to help connect people to their local Neighborhood Crime Prevention Councils. Adopt-a-Drain: A platform that allows citizens to adopt and clear their local storm drains to prevent flooding. EarlyOakland.com: A free website about to help parents find free and low cost child care and early education services. Oakland Wiki: A free website about Oakland that anyone can edit. The community-built site all about Oakland, by Oaklanders. 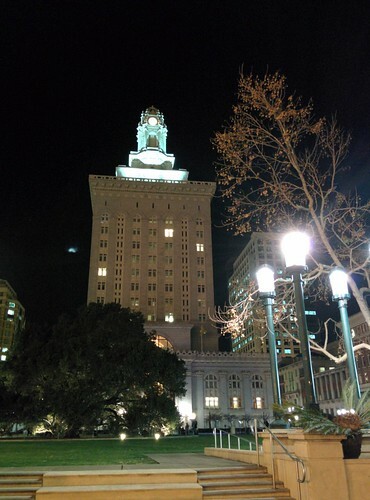 Councilmatic Oakland: A public meeting indexing and search tool. Vacant and Abandoned Property Tool: Adapting the vacant / abandoned locator built by Open City Apps or the BlightStatus app built by Code for America. 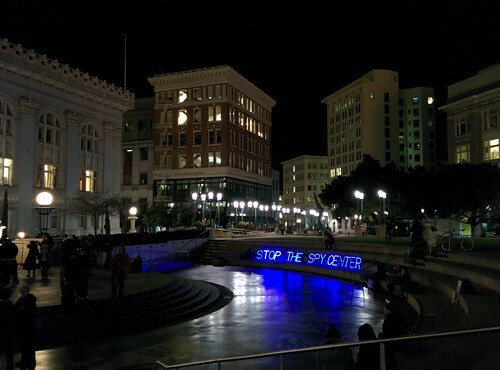 When I arrived at the city hall, there was a message in front of the building that read "Stop the Spy Center". 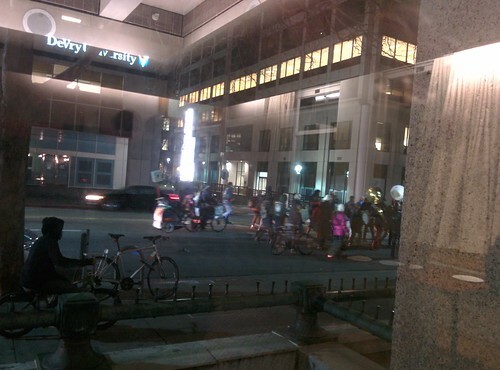 There were a bunch of protesters walking outside during our event. I heard it is to protest against the Oakland surveillance center. 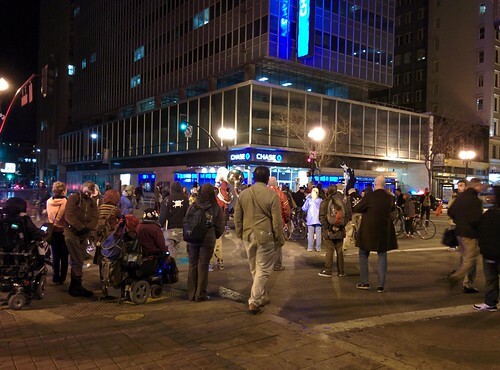 By the time I left, it was past 9PM or so, but there was more protests on surveillance outside the city hall. Learning more about this Domain Awareness Center.